Chromebooks are great, but a Chromebook with a VPN is even better. In this article, we take a look at which VPNs support the Chrome OS and rate their services, so all you have to do is pick the one that's right for you. Just like with every other computing platform, you can greatly improve your online privacy and security by using a Virtual Private Network (VPN) with your Chromebook. It’s not just boring stuff that VPNs are good for! VPN services are great for bypassing censorship, unblocking content, and using a VPN whilst torrenting can be made safer. I was highly skeptical when I first heard about Chromebooks and Chrome OS. An entire operating system that is basically just a browser? Really? Well, it turns out the idea really does have legs. A lightweight, cloud-based operating system (OS) does everything that many people ever need. This functionality has, in fact, recently been massively expanded. With a VPN you can make your Chromebook even more secure. Based in Panama (a non-Fourteen Eyes spying alliance country), NordVPN is an excellent choice for the more NSA-phobic out there. It keeps no logs at all, uses strong encryption, and accepts anonymous payment via Bitcoin. NordVPN is let down a little by many of its servers being somewhat slow, but with a little trial and effort it isn’t too hard to find a fast one. Additionally, P2P is allowed, and many users appreciate NordVPN’s “double-hop” service, which routes your VPN connection through two different servers in order to make tracking more difficult. Chromebook VPN support comes in the form of setup instructions for L2TP, a Chrome add-on, and an Android app. Our reviews of ExpressVPN have always found they excel at providing a great customer experience. At the forefront of this is 24/7 live chat support, and a genuine no-quibble 30-day money-back guarantee. ExpressVPN serves Chromebook users well. Layer 2 Tunneling Protocol (L2TP)/Internet Protocol Security (IPsec) setup instructions are available for Chromebook, as are Chromebook-specific instructions for its Android VPN app. The other desktop and mobile software from ExpressVPN is very easy to use, and is fully featured. Those wishing to evade censorship (such as users in China) will appreciate ExpressVPN’s Hong Kong-based “stealth” servers and dark web (.onion) address. Although ExpressVPN is a little pricey, the fact that it throws in a free Smart Domain Name System (DNS) service for all users makes it good value for money. In addition to fully supporting L2TP, Cyberghost now offers a Chrome extension. CyberGhost’s great logging policy, decent local (burst) speeds, and fully featured software are a winning combination. And with a 7-day free premium trial plus 30-day no-quibble money back guarantee there is zero reason not to give it a whirl. PIA is based in the US, so is not a provider for the more NSA-phobic out there. However, it keeps no logs, which is a claim that it has proven in court. It is not common to have such definite proof that the VPN does what it says it does when it comes to logs, so well done PIA! And although optional, the Android app's security can be first rate. PIA provides Chromebook/Chrome OS setup guides using both L2TP and its Android app. Up to 5 simultaneous connections are permitted and PIA boasts excellent connection speeds. No logs – proven in court! 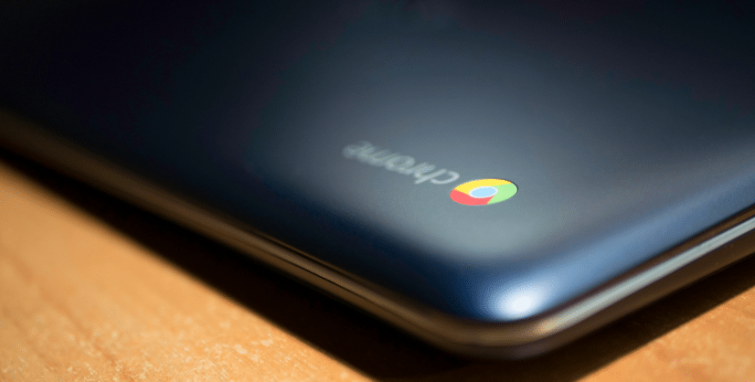 Chromebook support come is the form of a dedicated L2TP setup guide for Chrome OS. We strongly recommend avoiding its PPTP-only basic plan (which won’t on a Chromebook anyway), but VyprVPN otherwise offers a great selection of features, such as a SmartDNS service, robust customer support, and port selection. Although not necessary for the UK, VyprVPNs “Chameleon” stealth technology is great for Brits who visit places such as China or Iran. Like ExpressVPN, VyprVPN offers a 30-day money-back guarantee. A VPN is a way to securely connect your Chromebook to a “VPN server” run by a commercial VPN provider. Your Chromebook then connects to the internet via this VPN server. All data passing between your computer and the VPN server is encrypted. This is sometimes referred to as an “encrypted tunnel.” The VPN hides your data from your Internet Service Provider (ISP), so that it cannot spy on what you do online. How Does a VPN for Chromebook Work? On other platforms, you usually sign up for a VPN service, then use the VPN's app to connect to it. The core idea behind the Chromebook, however, is that everything happens inside the browser, so no additional apps are needed (or possible). Except for the fact that it's now possible to run Android apps on many newer Chromebooks. There are now two basic ways to run a VPN connection in Chrome OS. You can use the built-in L2TP/IPSec VPN client or an Android VPN app. In addition to this, you can use a VPN add-on for the Chrome browser. These are not really VPNs, but proxy connections. Use a Chrome browser VPN extension. Use an Android app (only available on Chromebooks that support this feature). The whole thing about Chrome OS is that it's basically just the Chrome browser. This means that most of the Chrome browser VPN add-ons offered by an increasingly large number of VPN services will work just fine on your Chromebook. Technically speaking, these “VPN” add-ons aren't actually VPNs. This is because they don’t protect all internet connections going into and out of your computer. They are instead proxy connections that only protect the browser. However, since with Chrome OS the browser is the operating system they can, in effect, act as true VPN clients. That is, apart from the fact that newer versions of Chrome OS support Android apps. These run on their own separate Android subsystem, and won't benefit from a Chrome VPN browser add-on. 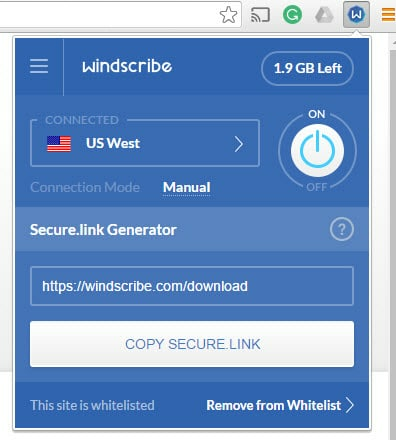 Most such browser add-ons securely encrypt the connection using HTTPS. It is always worth checking that this is the case with your VPN provider, however, as some have no encryption at all. These may still be useful for spoofing your location, but provide no security or privacy benefits. Hi Douglas This is a very helpful article - thank you. Unfortunately I have had bad experiences trying to install a VPN on my chromebooks from two of the five best buys you list above. I'm wary of trying any others until I work out what's going on. Essentially, the appear to install correctly and they allow me to connect to overseas servers using L2TP/IPsec, even confirming "connected" on the settings screen. But when I then check my IP address, I find it has not changed at all. I have spent several hours online to support reps from the two suppliers who have both been very helpful. They have confirmed there is a problem and have tried to solve it, but both have finally admitted defeat, and I have had to seek a refund in both cases. Any idea what might be happening here? I know that connecting to VPN on chromebooks is not straightforward, which was why I looked for specific recommendations before starting. Unfortunately, that hasn't guaranteed success. I'd be most grateful for any thoughts. Hi Ian, Hmm. Connecting on a Chromebook should be straightforward enough using L2TP/IPsec. I must admit that I have no idea, off hand, why you are having problems. I am very busy at the moment, but when I have a little time I will try to investigate a little further. Hi Kharma, Canada is listed as a con because it is a core member of the NSA-led Five Eyes spying alliance. Bills C-11 and c-51 are also deeply concerning for privacy. As Wikipedia notes: "The Edward Snowden revelation that the Communications Security Establishment (CSE), without a warrant, used free airport Wi-Fi service to gather the communications of all travellers using the service and to track them after they had left the airport sparked an ongoing concern about mass surveillance in Canada. The number of Canadians affected by this surveillance is unknown apparently even to the Canadian Security Intelligence Service." I need a pc perfect a laptop mac for tech. School and I have a brand new PlayStation 4 limited but not to sure if I can make that work til I get a laptop. Hi Heather, Sorry, but you will need to explain your problem a little more clearly if am to help you :). Hi bobs uncle, As I clearly state in the article above: "Unusually, the ExpressVPN Chrome browser add-on is not a browser proxy, but an interface for the full desktop app (which must be installed). This means that the Chrome browser add-on does not work on Chromebooks." L2TP/IPsec setup instructions are available for Chromebook, however, as are Chromebook-specific instructions for its Android VPN app.